Robert Benezra, PhD - Play for P.I.N.K. If not for the support of BCRF/PFP, we would not have had the resources to develop a novel targeted therapy for treating breast cancer metastasis that is now being readied for use in the clinic. Studies are focused on new therapeutic targets to treat aggressive breast cancers. Laboratory experiments are testing a new drug called AGX-51 and identify potential combinations to enhance cancer cell killing. These studies may lead to new combination approaches to improve response to therapy and patient outcomes. Metastatic breast cancer–cancer that has spread to other tissues–is the leading cause of breast cancer deaths. While treatable, there are no known cures for metastatic breast cancer. Dr. Benezra has discovered an exciting new target for treatment of metastatic breast cancer and is conducting studies to advance this treatment to clinical trials. Breast cancer metastasis remains one of the greatest clinical challenges in breast cancer. Thus, identification of new therapeutic agents that are effective in inhibiting the development of metastasis is critical. Dr. Benezra’s laboratory is studying a class of proteins called Inhibitor of DNA (ID) binding proteins as potential therapeutic targets to prevent metastasis. ID proteins are overexpressed in primary and metastatic breast tumors, and importantly, knocking out these proteins using genetic tools leads to a near complete inhibition of metastasis in experimental models. Dr. Benezra’s team identified an agent called AGX-51 that reduces the levels of Id1 and Id3, leading to a decrease in lung metastases. When combined with the commonly used chemotherapy drug Taxol, AGX-51 further reduces lung metastases in a model of aggressive breast cancer. In the past year, his team reported that anti-cancer action of AGX-51 is caused by the production of high energy oxygen radicals. They also determined that it can be formulated to be delivered in a novel carrier called a nanoparticle which enhances the efficacy of the drug. In the coming year, they will continue these studies to better understand the mechanism of AGX-51 activity and explore mechanisms of resistance to the therapy. The results of these studies will provide insights into the mechanism of AGX51 activity and its potential translation into the clinic. 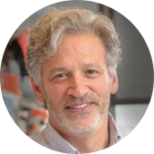 Robert Benezra, PhD, is a Member at Memorial Sloan Kettering Cancer in the Department of Cell Biology and a Professor of Biology at Cornell Graduate School of Medical Sciences in New York City. As a postdoctoral fellow he identified the Id proteins as dominant negative regulators of the helix-loop-helix protein family and has since gone on to identify these proteins as key regulators of tumor growth, angiogenesis and metastasis. In addition, while at Sloan Kettering, Benezra and his colleagues identified the first human mitotic checkpoint gene, hsMad2, and demonstrated that its deregulation leads to chromosome instability, tumor progression and drug resistance. His program continues to focus on the molecular basis of tumor angiogenesis, tumor instability and metastasis. His current project supported by BCRF is to characterize and exploit a subset of patients’ own white blood cells, called neutrophils, that act to inhibit early spread of breast cancer cells to distant organs.